Rare period-bound Volumes of: Cyclists' Touring Club Monthly Gazette & Official Record for January 1894 to December 1895 inclusive. 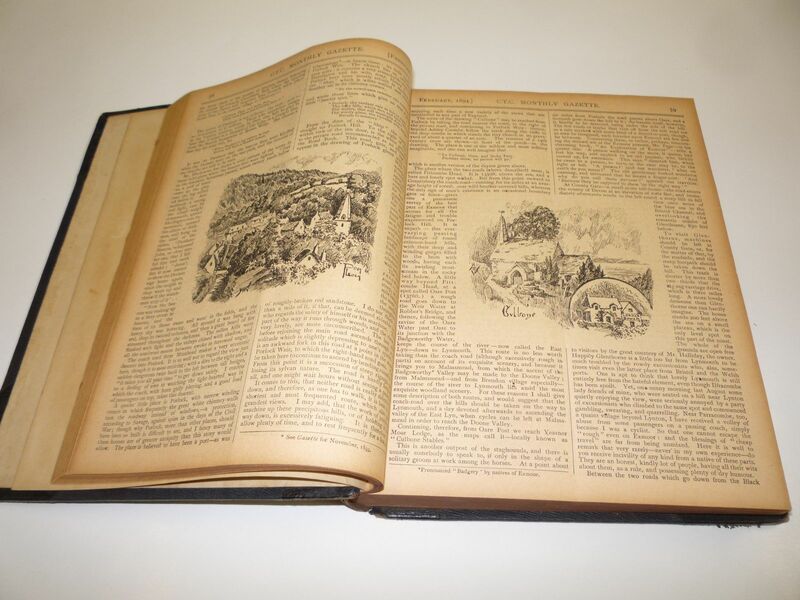 That is Volumes 8 to 9 complete with their Indexes, bound into one volume of approx 750 pages. The Club was founded in 1878 and incorporated in 1887. 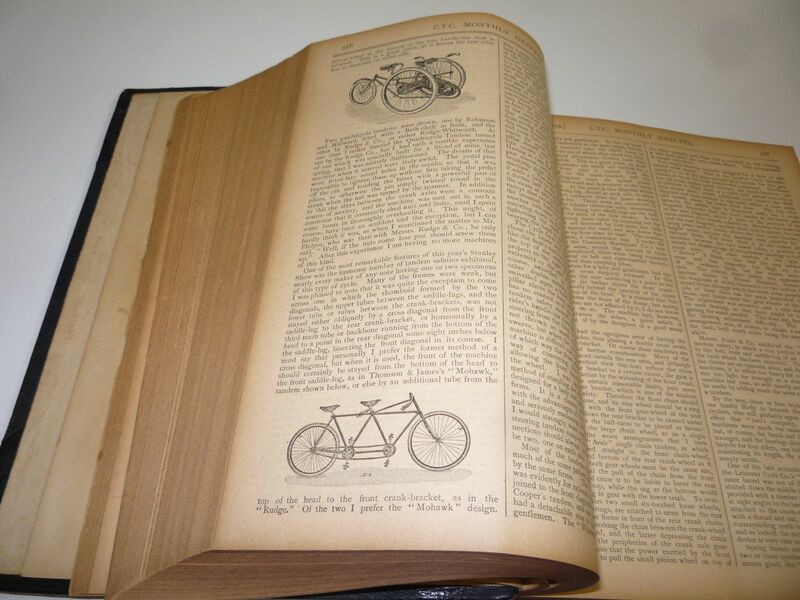 An exceptional record of Cycling before the advent of the Motor Car, when the Bicycle (safety) had just come into vogue, relegating the (Ordinary, or Penny Farthing) into the role of Museum piece. 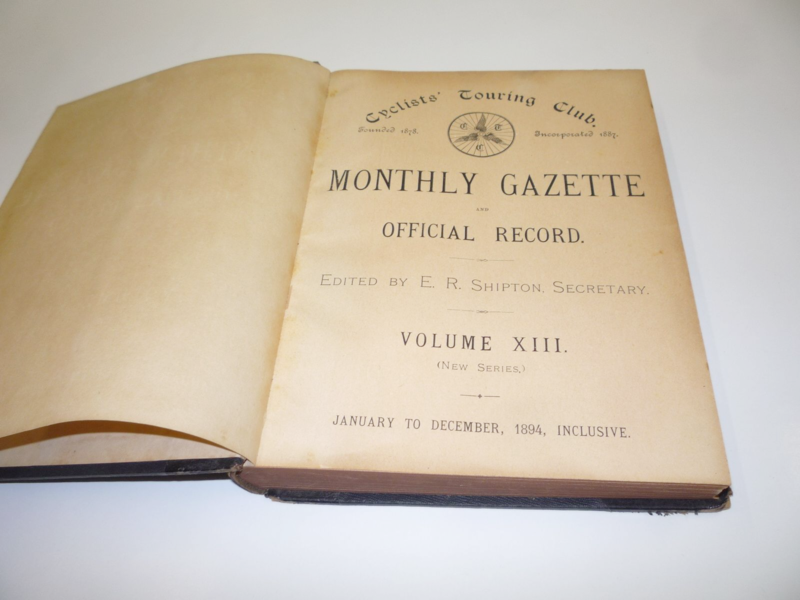 The Gazette was a monthly magazine for members of the C.T.C. designed to keep everyone involved fully up to date on the latest machines, club events, suitable routes, performance & timed records, correspondence, the maintaining of one's machine, protective clothing and club uniform, plus much more. 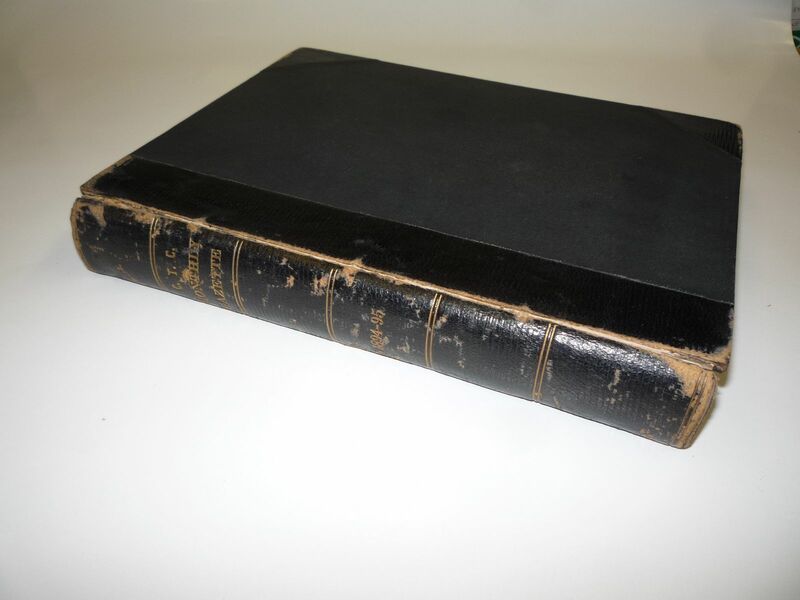 The Volumes are in their original binder of black leather spine and corners over black cloth boards with Gilt Emboss Titles and Bands to Spine. 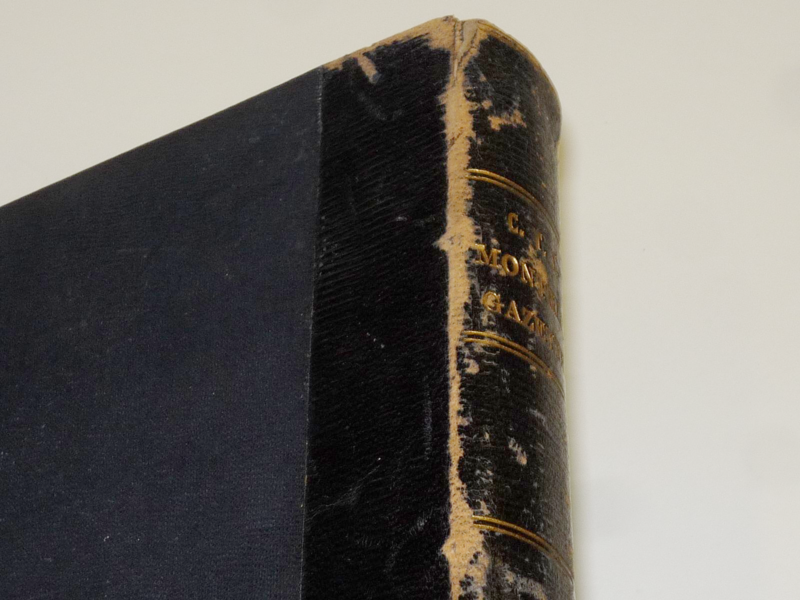 The binding is sound having recent sympathic repairs to outer split between Spine & board and the contents are excellent with just the expected 'browning' from over well a centuary sat on a shelf. 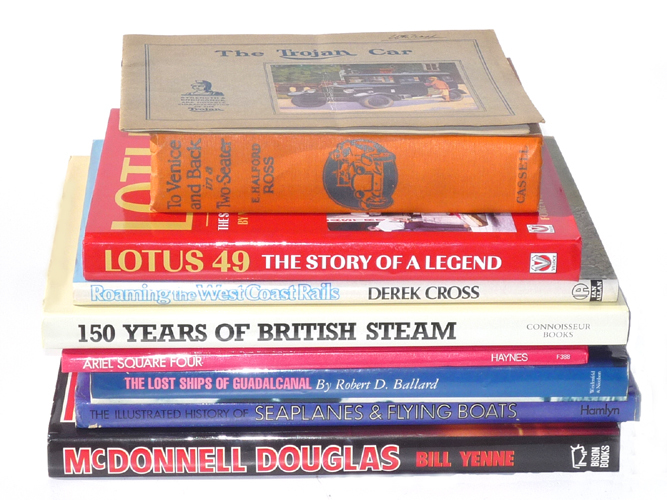 An excellent opportunity for the Cycling Historian or enthusiast alike.